Daesh* schools have been uncovered in the liberated Yarmouk refugee camp and the nearby Al-Hajar al-Aswad town. A regular school was turned into a training center for young jihadists and fighters, where children were taught to handle weapons and inculcated with extremist ideas and a radical understanding of Islam. Sputnik has captured the interior of the Al-Hajar al-Aswad school on camera. The writings on the wall have been painted black and replaced by terrorist slogans and postulates that were inculcated on children at the early theoretical training stage. After finishing their “education,” boys were taken to special boot camps for military training. The footage shows that the school library has been burnt, while there’s only literature approved by Daesh terrorists remaining in the building. 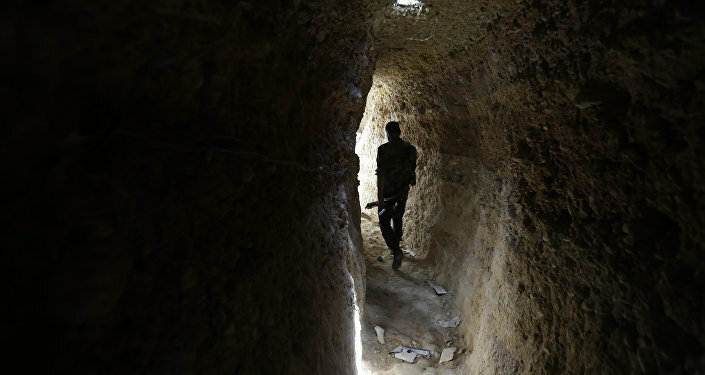 Such “schools” have previously been uncovered in all formerly jihadist-controlled areas. Earlier this May, the Syrian government forces completely liberated the southern outskirts of Damascus, including the Yarmouk camp, from terrorists. 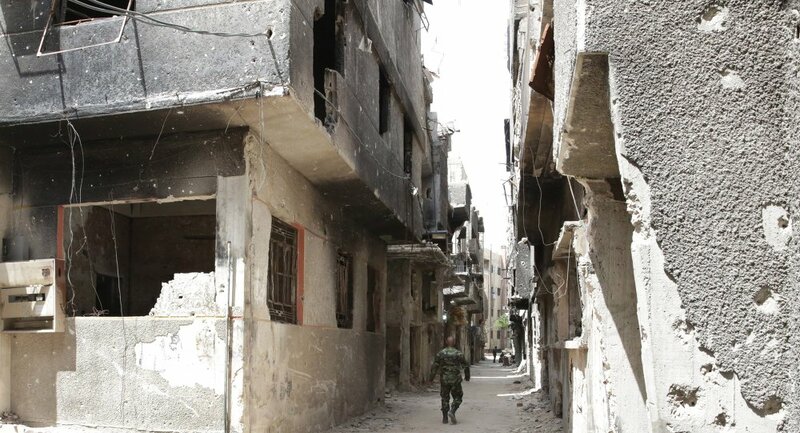 The Palestinian refugee camp of Yarmouk, which had been established in 1957 near Damascus, used to be the terrorists' stronghold since the early years of the Syrian civil war, which broke out in 2011. According to the spokesman of the UN Relief and Works Agency for Palestine Refugees (UNRWA), the camp, which was once one of the most largest and most striving Palestine communities in the Middle East "is almost completely destroyed."